When i was interested to design site for video blogging, i looked lot of video / multimedia wordpress themes for my site. from that i want to share some of theme information to you. Here i am list my best 20 multimedia wordpress themes. I was arranging with the Download, Demo option with every theme for your convenience. 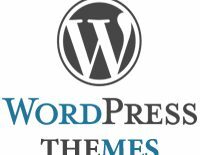 if you like the wordpress themes, kindly comment on this. 1. Evid – Elegant theme premium wordpress theme. eVid is a theme designed for video bloggers. I have set it up to easily integrate videos from video hosts such as Youtube, Vimeo, Veoh, MetaCafe, and so on. This theme does not have a native video player, but it does include a custom video interface with added “blogger-related” functions. This theme is only for sites that plan to showcase videos within their post pages. I have test the theme with all the most popular video hosts, but I expect that it will work with any website that offers a flash embed code. 2. Gigawatt – obox-design premium wordpress theme. Simply cut & paste the url of your video and we will get the embed code for you!. If you want to use this as a normal blog with images instead of videos, it is 100% possible. We have made sure to include our standard image uploader with auto-resizing and filters. 3. Multimedia Reloaded – Themeforest Premium Theme. 4. On Demand – Press75 Premium WordPress Theme. On Demand WordPress theme is perfect for virtually any video-centric website. With the On Demand theme, you can use any embeddable video format from any video service (such as Vimeo, YouTube, etc.). Or, if you want to host your own video files such as FLV, Quicktime, etc. you can do that as well. The Press75.com Simple Video Embedder (included) makes it easier than ever to embed videos within posts. Simply paste the URL to your video, add width and height values and publish. On Demand also includes several custom widgets for featured content, advertisements and more. 5. Premiere – WooThemes Premium WordPress Theme. Premiere is a powerful video-based theme that is custom post driven, separating your video posts from your blog content. With a custom single video page template with great social sharing links, the option for your site visitors to recommend videos and a featured home page slider this theme helps videographers, and movie fans alike – with great custom-ability. 6. VideoZoom – WpZoom Premium WordPress Theme. Videozoom is an elegant theme with a neat featured slider, which is ready to play any videos you want to embed into your posts. 7. Motion Picture – Obox-Design Premium WordPress Theme. Make your videos front and center with this neat and impactful video blog theme featuring High Definition post designs and our Typography Manager. 8. Wp Color Videos – ThemeForest Premium WordPress Theme. 9. 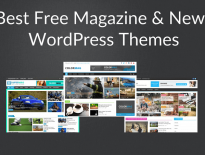 Video – Templatic Free Premium WordPress Theme. Create a website to showcase your Videos by using WordPress, Create unlimited video categories, show popular videos, rate videos and share them on social network. This theme is just perfect for Video Blogging. 10. TV Elements – Press75 Premium WordPress Theme. TV Elements takes your videos and puts them front and center within a large featured video carousel on the home page. Directly below the featured content carousel, you can insert up to 12 featured categories of your choice represented by thumbnails. Click any featured category and you are brought to a unique category page. 11. Object – WooThemes Premium Wordprss Theme. Object is a supremely flexible theme designed to publish your photos and videos perfectly. The design sports 1 – 5 column layout options, 15 amazing colour schemes and one of the sexiest jQuery image galleries you’ve seen in a WP theme. 12. Wp-Mediamag – Solostream Premium WordPress Theme. WP-MediaMag is modern WordPress magazine theme designed for publishers who like to upload media, such as videos and photos. Its expansive control panel makes it easy to use and tweak the many available options and layouts. 13. Video flick – Press75 Premium WordPress Theme. Video Flick is a video-centric WordPress theme featuring a “gallery” style layout. There several video themes on Press75.com, but if you are looking for a simplistic eye-catching solution, Video Flick is definitely the theme for you. Video Flick is compatible with any embeddable video format (including self hosted videos) using the included Simple Video Embedder. 14. Wp Show – ThemeForest Premium WordPress Theme. wpShow – multimedia and video theme for wordpress. wpShow is a video theme for your blog enables you to feature videos as posts alongside with the regular blog posts. 15. Video Element – Press75 Premium WordPress Theme. Featuring a slick gallery-style layout, a unique featured content carousel, and “Instant View” for videos… the Video Elements theme is perfect for any video-centric site. Of course, just like any of my other video WordPress themes, you can use ANY embeddable video format with the Video Elements theme. You can even use self hosted videos if you like (e.g. Flash, QuickTime). 16. Wootube – WooThemes Premium WordPress Theme. WooTube is a video player. Need we say more? Based on the same style that has made Busy Bee & Fresh News so popular, WooTube offers you some amazing multimedia goodness. Why not get cracking straight away… All you need is a camera, a nice smile and obviously this theme! 17. Vidley – Press75 Premium WordPress Theme. The Vidley theme is a flexible video centric website solution perfect for video blogs, portfolios, news sites, promotional sites or pretty much anything else. Vidley combines many aspects from my other popular video-centric themes to bring you all the features you are looking for in a one great theme. 18. Selecta – Obox-Design Free Premium WordPress Theme. Selecta’s rounded edges and bold, modern color palettes make for a fresh theme that’s best suited to blogs where video will be the main focus. The wider-than-usual frames around thumbnails and videos bring to mind the retro-cool of Polaroid photographs and old home movies. 19. Groovy Video – WooThemes Premium WordPress Theme. Groovy Video is a colourful, funky video blogging theme, which is sure to put you at the top of the pile. Video blogging (vlogging) is trendy right now (all the cool kids are doing it), so do get your groove on with this theme! Get it? Got it? Good! 20. Viddio – MojoThemes Premium WordPress Theme. The Veddio theme was created for both the average joe video blogger to the most sophisticated vlogger out there!. It features a nice look, and the homepage layout allows you to catch your visitors actually when they first land on your site. Videocraft is very practical approach WordPress Theme. Where You can create not only regular videos but a full blown user generated website similar to Youtube or Vimeo. Following easy steps, you can quickly set up your blogging or video featuring sites without any coding or other technicals stuff. Some of the prime features are user registration module, a system for video user uploading and video embedding. Besides these, it gives widgetized sidebar, video thumbnails, etc.